Do you dream of blue skies and mountain air? Are you looking for a home that is far removed from city life? An Appalachian Log Structures’ cabin may be just what you’ve been searching for. Our log homes are cozy, comfortable, and come in a variety of sizes, kits, and cabin floor plans – many of which are under 2,000 square feet, perfect for smaller lots. Close your eyes and imagine yourself gazing over your deck at the sun setting through the trees as a warming fire crackles gently in the background. This could be life in our Lakefront II design. With 1,288 square feet on the first floor and 658 square feet for the upstairs bedrooms, the cabin offers a total of 1,946 square feet. Attention to detail isn’t spared, and this smaller floor plan still feels roomy with three bedrooms, a dining room, and more. There is also plenty of space for outdoor entertaining on the wrap-around deck or porch. Get ready to make some memories in this quaint mountain home. Picture yourself standing on the deck, breathing in the fresh, crisp air. 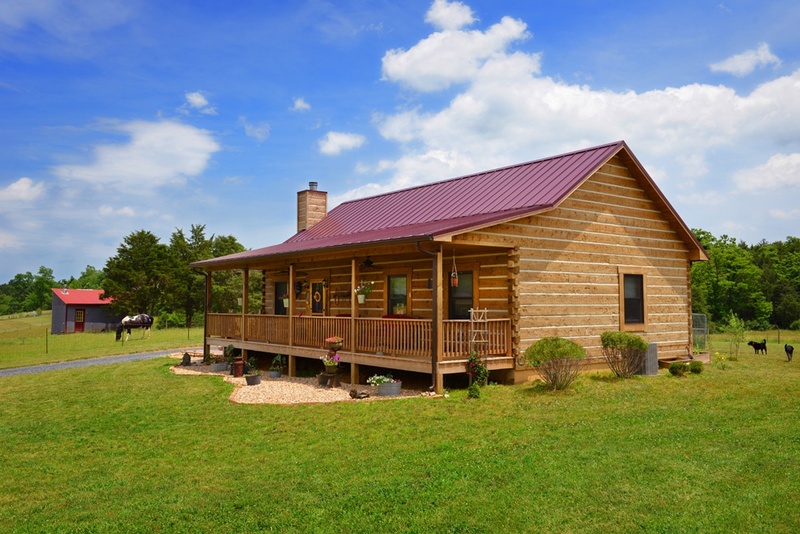 You’ll have plenty of space to relax in this three-bedroom log home, and you’ll never miss city living. Enjoy the tranquility from your deck or your porch. The open floor plan is 1,776 square feet and includes a living room and dining room which are perfect for entertaining friends and family. Stylish design features include an A-style roof, doghouse window dormers in the front, and a shed dormer on the rear loft area. Calling all nature lovers! Nantahala is Cherokee for “land of the noon day sun” and that’s just what you will be enjoying on the covered porch as you take in the wildlife and sounds of your surroundings. On cold winter mornings, sip a hot beverage indoors and enjoy the view through glass doors. As one of our smaller log home plans, the Nantahala packs a lot into 1,260 square feet. Whether this is your primary home or a vacation getaway, there’s plenty of room for guests. Bring your guitar or queue up your favorite playlist because log home living is good living. 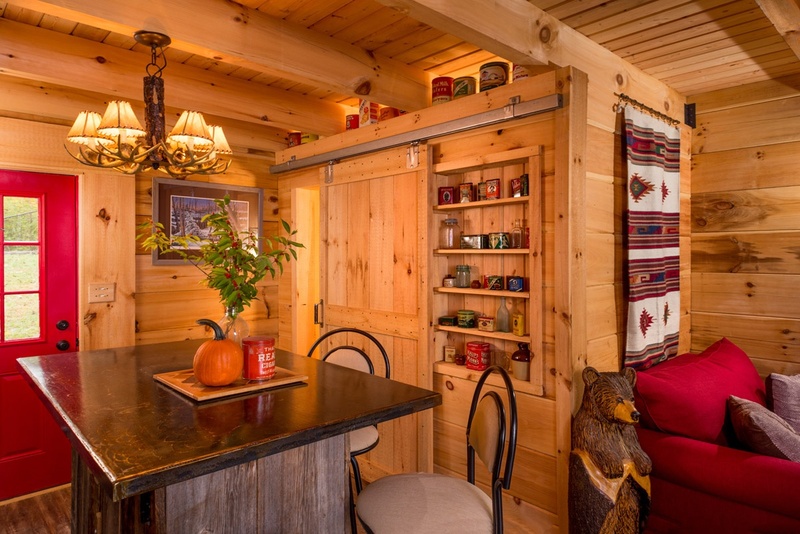 Leave your troubles at the door when you step into the 1,168-square-foot West Virginian. This simple, yet elegant cabin provides an airy feel with lots of windows and a second-floor open loft which is perfect for the occasional guest. Open up the glass doors and let the fresh air in – or better yet, bring a few chairs on to the porch and watch the clouds roll by. Imagine Sunday mornings in the Cimmaron, the smell of cinnamon rolls in the air, and gentle, yet exquisite comforts of log home living. If you’re looking for small cabin floor plans, the Cimmaron is compact without sacrificing style or utility. At 960 square feet, this ranch style log cabin offers three bedrooms, an open kitchen and eating area, and a living room. And there’s plenty of porch space to sit outside and read a book, while enjoying that cinnamon roll! 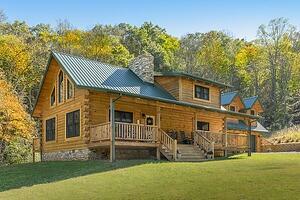 If you’re looking for log home plans, Appalachian Log Structures has a variety of thoughtfully pre-designed plans. Our cabin floor plans under 2,000 square feet are ideal for small lot sizes. 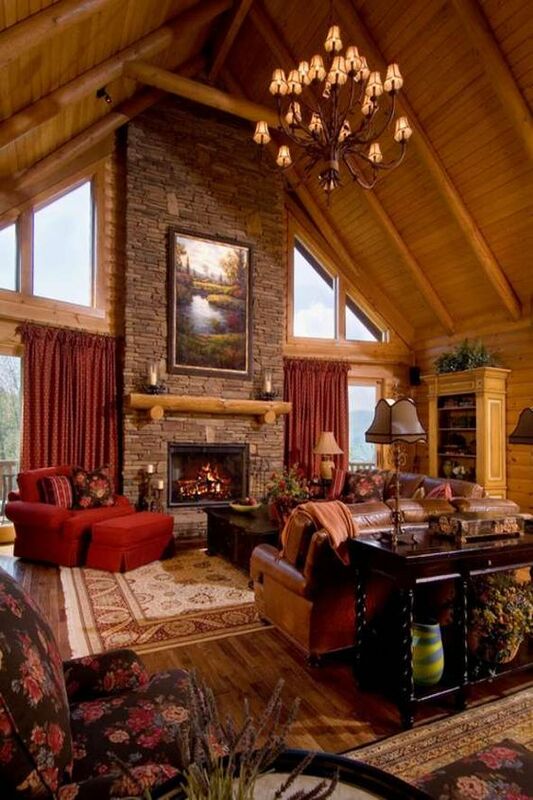 If you’re ready to breathe in the mountain air, contact us for pricing information so we can make your log cabin dreams come true. 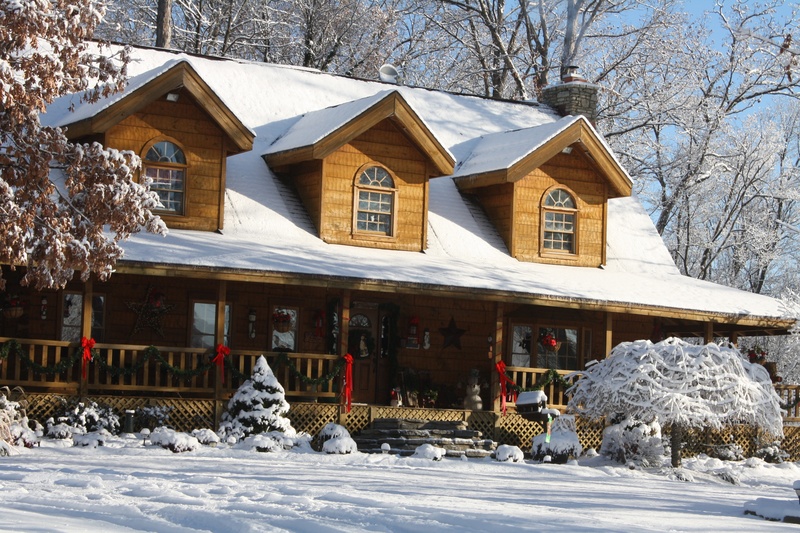 As temperatures begin to fall, your log home will weather the winter better if you follow a few tips that will protect your investment and help keep you comfortable. If your local temperature will fall below 32 degrees in the winter, adding extra insulation to the attic, if needed, will prevent warm air from creeping to your roof and causing ice dams. Check flashing around the fireplace to ensure water can't enter your home. Consider replacing worn roof shingles or tiles. Clean out the gutters and use a hose to spray water down the downspouts to clear away debris. You may also want to install leaf guards on the gutters or extensions on the downspouts to direct water away from the home. Rake away all debris and edible vegetation from the foundation. Seal up entry points or cracks to keep small animals from crawling under and into the house. Mice can slip through space as thin as a dime. Secure crawlspace entrances. This step is critical for your health and safety. Inspect the exterior log wall for any crevice cracks and exposed entry points around pipes; seal them. Use weather-stripping around doors to prevent cold air from entering the home and caulk windows. Switch out summer screens with glass replacements from storage. If you have storm windows, install them. Locate your water main in the event you need to shut it off in an emergency. Drain all garden hoses. Insulate exposed plumbing pipes. Drain air conditioner pipes, and if your AC has a water shut-off valve, turn it off. If you go on vacation, leave the heat on, set to at least 55 degrees. A winter storm can ravage the outdoors to such an extent that you can experience devastating effects in your surrounding area and while you're in your log home. Trim trees if branches hang too close to the house or electrical wires. If your chimney hasn't been cleaned for a while, call a chimney sweep to remove soot and other undesirable accumulations, like creosote. It's best to cap or screen the top of the chimney to keep out rodents and birds. Buy firewood or chop your own. Whatever choice you make, store it in a dry place away from the exterior of your log home. Inspect the fireplace damper for proper opening and closing. Also check the flashing around the chimney to prevent water infiltration. Following these simple steps will help keep you warm and cozy while Old Man Winter blows outside. You Can Create Your Dream Home for Less! It’s a rare these days to hear the phrase “money is no object.” No matter what your net worth, chances are you’re interested in making smart investments—and getting the biggest bang for your buck. Building a log home is no exception. Designers and builders can offer dozens of ways to cut costs. This can be called value engineering. 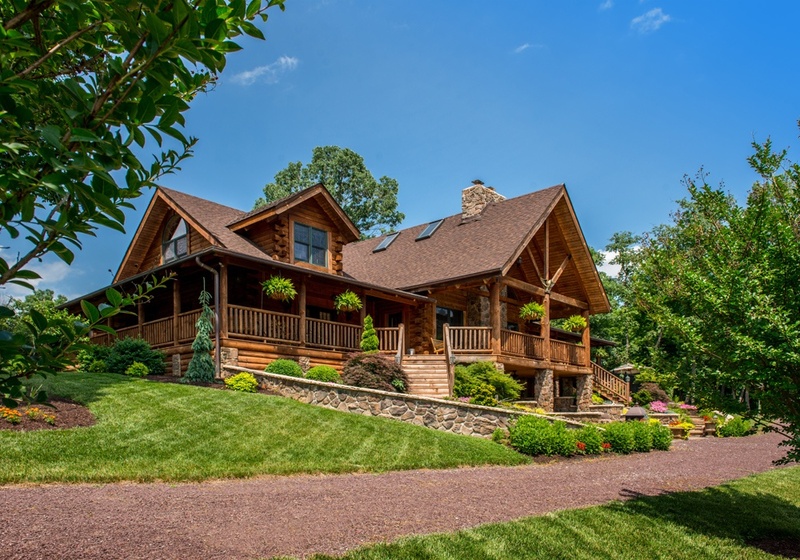 Working with the pros, like Appalachian Log Structures, who belong to the NAHB's Log & Timber Homes Council, will help you decide where you want to save money—and where you shouldn’t skimp. (Opting for cheaper windows and insulation isn’t usually recommended.) Here are 16 tips from Appalachian Log Structures and the Log & Timber Homes Council. Instead of a custom design, opt for a stock plan from a log home producer’s catalog. Stock designs have been built many times before, so construction errors have been eliminated. When you opt for a stock plan, you’re getting all engineered and cost efficiencies built into that log home design. This strategy will save you both time and money. Whether stock or custom, a rectangular design is the most economical shape to build. Add more than four corners and you’ll add more costs. For example, it takes 18 feet of logs to create a single Traditional corner with an eight-foot wall height. More corners, equals more coin. How much house do you really need? Keep square footage down with an open floor plan that eliminates unnecessary hallways. Look for innovative ways to use traditionally wasted space. Our favorite trick: adding a closet or built-in shelves under a staircase. Keep your home’s width under 30 feet. Once you go over 30 or 32 feet, you have to beef up your support beams substantially. The longer the logs, the more they cost. So you’re envisioning a log home, guest house for the in-laws and perhaps some out buildings to house your hobbies and toys? But in this economic climate, you are concerned about affording the full tab? The solution is to plan your construction over several years, which will give you some financial wiggle room. Start by building the log home the first year, followed by the wraparound porch in Year 2 and the garage with breezeway in Year 3. Add out buildings, such as a guesthouse or barn, in subsequent years. As much as 35 percent of your budget will go to clearing your home site, excavating a foundation, creating a driveway and installing utilities. These are fixed infrastructure costs that simply can’t be avoided. However, you can save on this portion of the work by performing some of it yourself, or hiring workers and supervising their efforts. Get started by clearing the land. Save any materials you can re-purpose during construction, as well as saving lumber for firewood. A full basement with roughed-in plumbing and electrical lines is one of the most affordable ways to add extra living space to your log home. If you can afford it another 20% in concrete costs, add 10-foot high sidewalls to add volume to a space that can seem closed in. Putting two bathrooms back to back—or above and below in a two-story design—will reduce your plumbing contractors work, which can save you substantially. To save money, you can opt to incorporate a variety of exterior materials such as stone, board and batten, cedar shake and even stucco. These materials can add character to the home and actually accent the logs. From a privacy perspective, locating your home far off the main road may be appealing. But you could save thousands in grading and compacting if you keep the driveway short. You can also delay your driveway installation for a few years. That time allows the soil to settle, so you’ll end up with a more stable driveway with fewer repairs over time. Keep your roof simple with a single ridgeline instead of “hips and valleys” or multiple roof planes. Extreme angles, such as turrets or an angled prow under an A-frame, cost more in materials and labor. If you worship cathedral ceilings, go ahead and enjoy them one in your great room. But keep the ceiling height in other rooms lower (in the 8-foot realm). Not only will you save on construction costs, but lower ceilings make your home easier to heat and cool. It can be quite expensive to put large, structural timbers with tongue-and-groove decking overhead in the great room. To save money, use a conventional truss or rafter roof system in the attic, with smaller, decorative timbers and non-structural tongue-and-groove decking. You’ll reduce your costs by a third without sacrificing aesthetic appeal. If you can afford dramatic skylights, go for it. But also consider solar tubes. They bring in natural light and cut down on installation and materials costs. They also make a great addition to master closets. Bonus: many of these modern money-savers also have venting capabilities for a breath of fresh air. If you’re craving an epicurean range but can’t stomach the price, check out “scratch and dent” sales centers run by manufacturers and retailers. New units are usually half price—a sweet savings for a few nicks you’ll hardly notice when it’s installed in a brand new log home. 16. What Hasn’t Worked in the Past? Now’s the Time to Fix It! Often it’s the little things (extra lighting in the master closet, a quiet exhaust fan in the bathroom, or a computer workstation in the kitchen) that make life easier and more convenient. Think about what hasn’t worked in your past homes—along with how and where you want to spend time in your new one. Then invest a little more money in the spaces that mean the most to you. When you're ready to start your affordable log home please contact your Local Log Home Building Consultant to help you with these and other GREAT money saving ideas in the design of your dream log home. Remember to "like" and follow us on Facebook and Pinterest! Parts of this article were taken from the Log & Timber Home Council's website www.loghomes.org. Recently I ran across this blog on houzz.com (written by Bud Dietrich, AIA) and thought it was very relevant to any building project. Several of the points he covers below I've touched on in my blog posts in the past, but thought another point of view besides mine might be educational as well as informative for those looking to stay on budget while building or remodeling their dream log home in 2018. "Inevitably, any new client will ask me "How much will the project cost?" The answer isn't always straightforward and easy. You see, a home construction budget, in both its creation and its maintenance, is more art than science. Sure, it's easy to say the project is a new 2,000-square-foot house that will cost $200 per square foot to build. But what does that represent? Will it be the home you want? Does it factor in all of the intangibles and idiosyncrasies that any home construction project has? And you can certainly ignore any cost-per-square-foot guideline if it's an addition or remodeling project. Dealing with an existing house, especially one that's a little older, has its own set of rules. Having said that, the best approach to identifying costs for your specific project and location is to talk with several architects, designers and builders. Each will probably give you a different "number," so you'll have to drill down into the detail of what that number means. Just remember that the devil is in the details. 1. Identify the project. Will it be a new home, an addition to your existing home, a kitchen or bath remodel or some combination of these? Each has its own budgeting method. While a simple "per square foot" cost may work for a new construction project, it definitely won't work for kitchen and bath remodels. And for something like an addition or renovation to a historic home, toss out any sort of cost guidelines. The best approach to establishing a budget for projects like these is to talk to professionals with experience. 2. Identify the pieces within your budget. Clients often don't identify all of the pieces of the budget. Sure, the largest piece might be the construction costs, but there will be many other costs. They can include land costs, legal fees, moving, decorating, landscaping, impact fees, architectural fees, permit costs and financing costs. At the outset, identify all of your potential costs and assign each a value. It would be a shame to finish the house but have no money left for landscaping or furniture. 4. Expect to splurge. In the budget, allow for the few places where you'll want to splurge. For example, the kitchen back splash is a place you may want to do something truly special and remarkable. If you spend a lot of time in the kitchen, the back splash is something you'll see several times a day for many years. Even if it costs a significant amount, allow yourself to splurge a little on something you'll enjoy. 5. Have a plan. A sure way of busting your budget is to defer decisions or, as they say in Washington, "kick the can down the road." Construction has started and you haven't made nearly enough decisions about what tile, what plumbing fixtures, what trim, etc. The builder starts pressuring you to make decisions or, worse, just does something without your input. You may find yourself tearing out work or, worse, have to live with something you really don't like because you don't have the time or money to change it. The best way to avoid these nightmare scenarios is to have your architect and/or designer prepare a detailed set of drawings and make all of your decisions before starting construction. Then, don't change your mind. It's easier said than done, but preparing a plan and sticking to it is the best way to stay on track. 6. Have a contingency. Like other laws of nature, the law of a construction project is that "stuff happens." It could be a problem with the bearing capacity of the soil or uncovering rotted wood when getting ready to build the addition. The best way to deal with the unknown is to allow for a contingency in the budget. The best approach is to start with a higher contingency, say 15% to 20% and then gradually reduce the contingency as you go through the project phases. When you first start the design, you'll have a line item in your budget for a, say, 20% contingency. After the drawings are done and the pieces of the project are identified you might reduce the contingency to 10%. As you you go through construction, you'll be able to reduce the contingency even more so that when construction is complete the contingency is zero. You don't have to spend that contingency. If it isn't used, consider it found money that you can save. That's a great way to feel good about staying on track and coming in under budget. 7. Beware scope creep. A sure way to bust your budget is the dreaded "While we're it we might as well ... " You may justify it by saying "it'll only be a few hundred dollars," but once you do that a few times, you'll have added a bunch of work and will definitely blow your budget. Remember that you made a plan and remain determined to stick to it. 8. Consider tradeoffs. Sometimes it's difficult, if not impossible, to pass by that truly remarkable item that you find during the project that's not in the budget. When this happens, take a look at your budget and what you have left to accomplish, with the goal of reducing the cost of something else to afford this new find. Is there a part of the work, such as painting a few rooms, that you can do yourself? Maybe you can use carpet in lieu of hardwood in the guest bedroom. Get what you want and stay on track by moving budgeted amounts from one pocket to another." 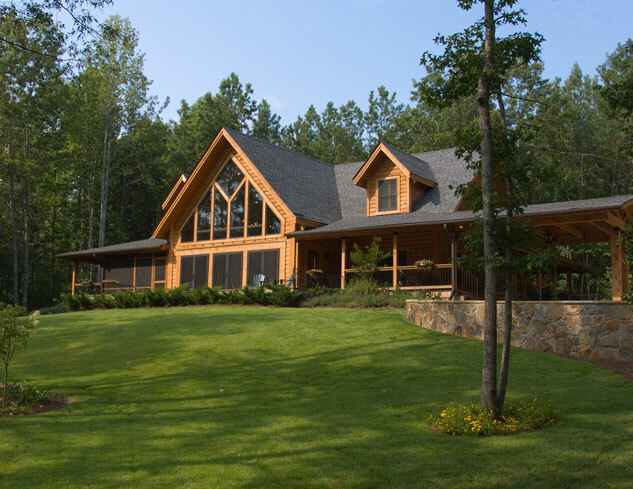 In order to assist you with determining the cost of your custom log home, download our helpful Cost Estimating Worksheet that will keep track of the expenses you may experience while building. Another resource to use to help determine cost would be to contact your Local Independent Log Home Consultant. They have years of experience helping others realize their dream log cabin home. Don't forget to follow and "like" us on Facebook and Pinterest. Log Homes throughout the centuries. 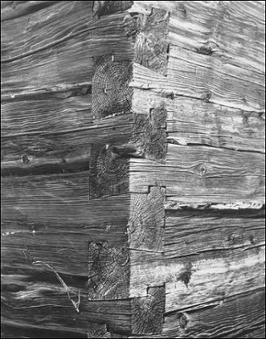 "The Finns were accomplished in building several forms of log housing, having different methods of corner timbering, and they utilized both round and hewn logs. Their log building had undergone an evolutionary process from the crude "pirtii"...a small gabled-roof cabin of round logs with an opening in the roof to vent smoke, to more sophisticated squared logs with interlocking double-notch joints, the timber extending beyond the corners. Log saunas or bathhouses of this type are still found in rural Finland." If you are planning to build a NEW log home, be sure to visit our web page and locate the Log Home Consultant nearest you. 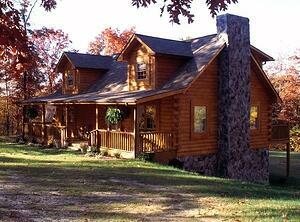 Since 1977, we've been shipping quality log home building materials worldwide. Be sure to "Like" and follow us on Facebook and Pinterest! Now that you've successfully completed the previous 9 steps in Planning a Successful Log Home Project you are ready to order your log home package of building materials. 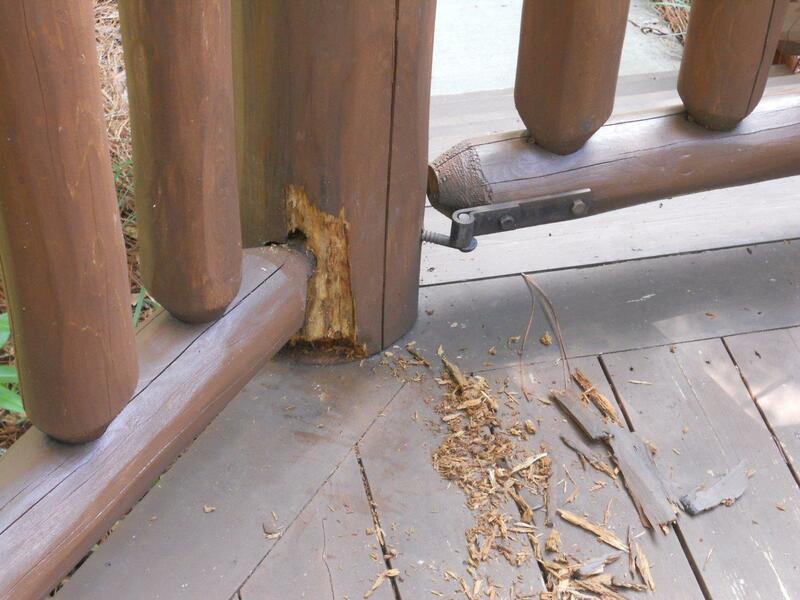 Remember to contact your helpful and knowledgeable Log Home Consultant so they can assist you with this process. They are a great resource of information. If you do not plan on financing any part of the project most log cabin home manufacturers require a 10% deposit to complete your construction set of plans and to start planning for your order. Usually a 40% deposit is needed to begin the manufacturing of your materials with the 50% balance due upon delivery. If you are planning on taking a loan, most financial institutions that have previously worked with log homeowners will require the borrower to put down at least 10% with the log manufacturer and the 90% balance due will be released from the lender on day of delivery. This is all subject to the loan closing before any manufacturing occurs. From this point it will take an average of 6 to 8 weeks for the materials to be manufactured, packaged and ready to ship. This gives you time to clear and grade the building site, dig and install the foundation and ready the sub floor. On the day of delivery all that needs to be done is to put the log bundles on the sub floor and start the installation process. You can look back over the recent past, re-trace the steps you took and be satisfied with all of the planning you did to make your dream log home become reality! Be sure to Follow and "like" us on Facebook and Pinterest! Copy of deed/title to the land you are building on or being purchased. There is a lot more information that will be requested before the loan is closed so be prepared to keep digging through your files and have patience. Our Log Home Sales Consultants assist folks everyday who are going through this process, and believe me, you are not the only ones who feel like they are going through the hoops as this process takes place. At some point in the application process an appraisal will be ordered for your log cabin home building project. The appraiser will take your log home floor plans along with the contractors contract/estimates and will determine a value of your home setting on the lot you have chosen. This value will become part of the basis for the amount of funds the lending institution will loan towards your log cabin home. Once this amount is determined, the draw schedule can be completed, papers can be signed and you can begin building your dream log home. 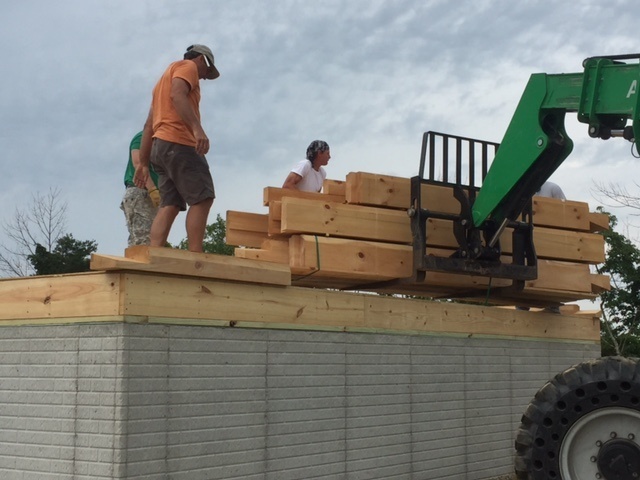 Our next and final blog in this series is Step #10 – Placing your Log Home Package order. Unless you are building your dream log cabin yourself, you will be speaking with, and interviewing several, general contractors or if you plan to act as your own general contractor, numerous sub-contractors. In this process not only is it recommended that you ask for references, but also to call and visit those on the reference list from the contractor. The references should contain both recent projects completed, within the past 12 months, as well as some older references, 2+ years old to see if the service after completion was performed satisfactorily. Ask for copies of licenses, certification of insurance and other coverage’s and check with the local building code office or Home Builder Association to get some additional insight of those you are considering. For vendor references check with the local lumber yard or “big box” store to see if they pays their bills and sub contractors on time. The folks at these places of business see and hear things that others may not. Remember, when choosing a general contractor, you will be working with this person for an average of 6 months +/-. It is best to make sure that you communicate well, that they understand the scope of your log cabin home project and that all agreements (from BOTH parties) are put in writing so mis-understandings don’t arise. Don’t be afraid to ask to see a recent or sample contract so that you know what to expect when yours in completed. Ask questions; take notes on how long it takes to get an answer and just how complete an answer you get. 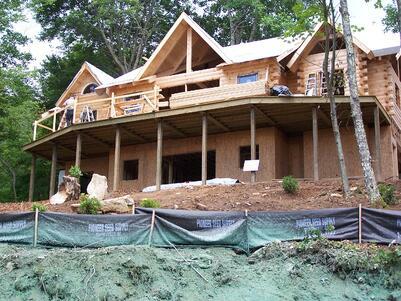 The more specific your questions and their answers, the better log home build project it will be. If you need assistance, be sure to contact your Local Log Home Building Consultant - we're here to help! Next time – Step #9 – Applying for your Construction Loan. 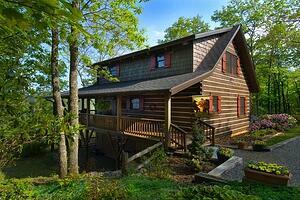 More and more articles are appearing in various media regarding the process of obtaining financing for log homes. This artical appeared in the Log Home Living magizines on line web site and thought I would share it as it has some very good points to consider if you plan on financing your log home. 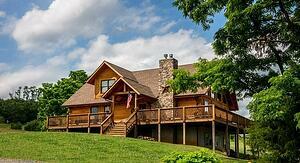 Most log home buyers finance their purchase. The tax write-off alone makes getting a mortgage enticing even for those rare few who can pay cash. But how do you determine how much house you can afford, and how much of that will come from the bank? When you’re ready to buy your log home, calculate your target budget by adding your assets and how much you can borrow. It’s that simple. However, even though interest rates are still hovering at historical lows, the days of “no money down/no equity required” and so-called “exotic loans” are long gone. Like everyone else, banks need to protect their investments and doing so means reducing risk with sizeable down payments and proof of real collateral. In other words, the bank is carrying the full risk. Lending expert Greg Ebersole with BB&T agrees. Once you have what it takes to qualify, financing proceeds. If you are purchasing a pre-existing log home, the process mirrors every other kind of home loan. But if you are like most log home buyers, the biggest difference from a conventional loan and yours is the fact you’ll need two. One is the standard mortgage, ranging from 15 to 30 years. The other is a short-term construction loan. The construction loan pays for the materials and labor needed to build your home. These loans are made for periods from six to 18 months and have higher interest rates than mortgage loans because as far as banks are concerned, they carry more risk. According to Greg, lenders will want at least a 20 percent deposit on a construction loan because of that risk. Typically, you pay only the interest until the project is completed and the mortgage takes over and adds the construction loan principal. As a general rule, the lending process works smoother and should be less expensive if one lender handles both loans. You may even be able to get a one-time-close loan (a definite advantage in terms of reducing paperwork and closing costs), though Greg says these are tougher to come by than they used to be. Otherwise, you’ll qualify for the mortgage first and get a letter from the mortgage lender that assures the construction-loan lender its loan will be repaid. Before granting construction loans, lenders carefully study the project and evaluate the builder’s ability to complete the home according to the plans, budget and schedule. Once the loan is granted, the lender disburses the money according to a draw schedule, which pays certain amounts at various milestones to cover work completed up to that point. Progress is verified by onsite inspections, which determine that the labor was performed and specified materials were used. Typical draw schedules include five or six payments. The first might be made when the foundation is completed, the second when the log shell is erected and under roof. The next-to-last draw will probably occur when the house is completed and the certificate of occupancy issued. The last draw generally comes 60 to 90 days after completion to allow sufficient time for any subcontractors or suppliers to have filed mechanics’ liens. As the balance of the loan dwindles because of these draws, the interest amount also goes down thanks to this lower balance. A big difference between construction loans for log homes and other custom homes is that the log home company providing the package expects to be paid a substantial down payment before cutting and shipping the logs. Avoid making a large down payment for your package until you’ve secured your financing; then there are several ways to proceed. 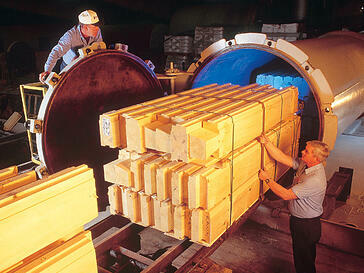 Some lenders view a log package as just another load of lumber or as work under way at the producer’s plant. They’ll release funds when you or the manufacturer request them. In other cases, the lender may refuse to release any money until the package is delivered to your lot. If this occurs, ask your lender to issue a promissory note to the log home company guaranteeing that payment will be made on delivery. Often, the lender can wire transfer the money the same day as the logs arrive. In any circumstance, your builder/dealer (Who’s that? See page 53 for info.) should be able to help you make arrangements for the most convenient financing of your log package. Some appraisers will consider non-log custom homes of a rustic or wood-sided nature as comps, but even these can prove scarce. Distressed sales during the housing crash haven’t helped matters either. A helpful sales rep should be well equipped to explain a log home’s true value to lenders and their appraisers. When the time comes to submit a formal application, lenders will require 20 percent down. Some may accept a smaller deposit, if you qualify, but expect to pay PMI (private mortgage insurance). On the flip side, according to Greg, if your appraisal comes in short, your lender may ask for a bit more up front. Other factors that affect their decision to approve you are the ratio between your income and the expected mortgage payment and the ratio between your income and total long-term debt. These ratios can fluctuate, but as a rule, the expected mortgage payment cannot exceed 28 percent of your family’s monthly gross income. In addition, your total monthly expenses, including the mortgage payment, shouldn’t exceed 36 percent of your monthly household gross income. Blueprints or construction documents that comply with local building codes will have to be presented to the local permitting office for approval before you can obtain a building permit. Sales Contract for the Log Home Package. This should include a complete bill of materials that your log home producer will supply. A floor plan in a producer’s catalog isn’t enough. Bring working plans, detailed materials specifications and descriptions of building materials. These documents will tell the lender exactly what is being financed and help the loan officer assess its value. You’ll need copies of written bids and estimates to determine a detailed cost estimate. If you are hiring a general contractor to build your home, you must have a copy of the agreement showing costs and specifications. Note that to keep risk in check, most lenders are more comfortable approving a loan if a professional, not an owner/builder, is at the helm. Statement of Your Construction Abilities. If you do intend doing some or all of the work yourself, supply the lender with information on your qualifications, such as photos of projects you’ve completed or other evidence that you’re capable of tackling — and completing — the construction of your log home. The more you can reduce risk of default in the bank’s eyes, the better your chances of getting approved. This plan shows the exact location of your land and provides a legal description of the property. This document shows the title and mortgage information on the property where you intend to build. Information on the Log Home Producer. Anything that explains what kind of home and services you’re buying will be helpful, including a copy of the company’s annual report and its construction manual. When giving the above information, be sure the lender clearly outlines its fees and provides a written estimate of all closing costs associated with your loan. Charges vary among banks, so this information will let you shop for the best rate among the lenders willing to finance your log home. With this information, lenders will look at your income-to-debt ratio, any large or unusual deposits (per The Patriot Act) and your work history to help them determine your ability to repay the loan. If the bank deems you a qualified borrower for the amount you are requesting, there is plenty of money to be had. Previously, you reviewed the HUD-1 at the closing table with your loan officer present. Changes were made on the spot. Now, if there are changes, your lender must make the revisions and provide you with yet another 72 hours to review that new statement before closing. The intent behind these new regulations is not to cause you headaches or delays — it’s to make it easier for home buyers to understand the terms and streamline the loan application process by placing all the relevant details on one page. In addition, the LE and the CD look very similar so you can better compare your actual charges (the CD) to the estimated charges (the LE) when you applied for the loan. Each provides true dollar amounts down to the cents, rather than rounding to whole numbers as previously done with the HUD-1, for total accuracy and disclosure. Since TRID went into effect in 2015, there have been some concerns that the new rules will delay closings or make it harder for people to qualify for a mortgage. This is not the case. In truth, these guidelines are in place to protect you from mistakes or other factors that could cause you to default on the loan, placing both you and the bank at risk. 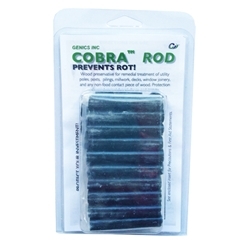 Using Borates to Protect the Investment made in Your Log Home. 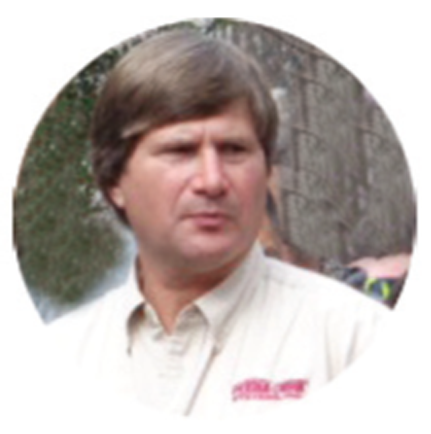 Paul Peebles is Perma-Chink System's West Coast Director of Sales, and has over 20 years experience in the log home industry. 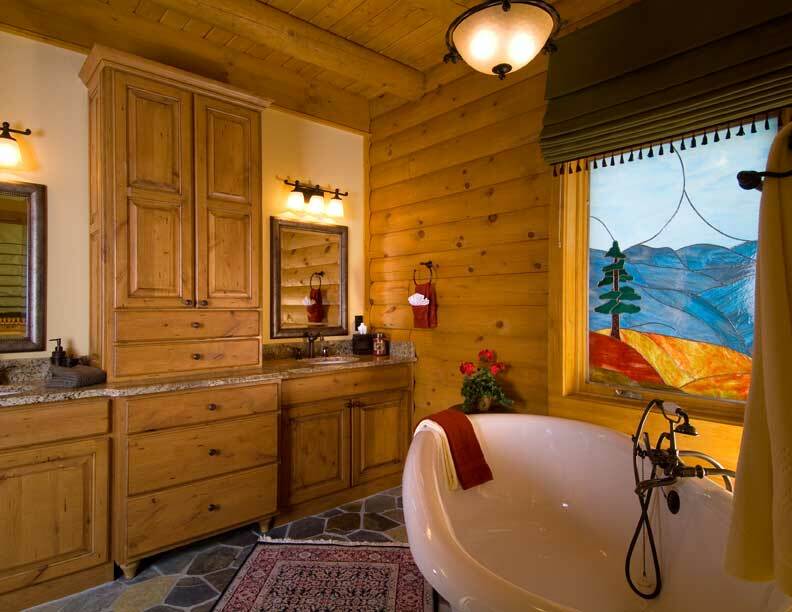 As a log home owner, his first-hand experience helps customers get the right products and correct solution to maintain and protect their homes. Borates have been used to preserve wood for many years, and because people have lately become more concerned with the toxicity of products used in their homes, it has steadily grown in popularity. 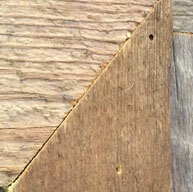 This newsletter will discuss the use of borates to preserve log homes in detail. Simply put, borates - or borax - are naturally-occurring water-soluble salt-like acids. 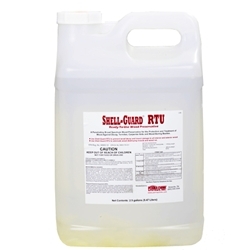 It is about as toxic as table salt to humans and pets, but kills wood-consuming insects like termites, powder-post beetles, and old house borers. 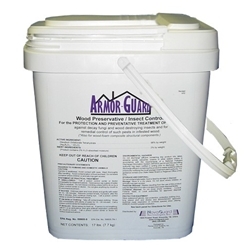 More importantly, it kills the wood destroying microorganisms that cause rot. Rot in log or conventional homes cause far greater damage to homes every year than damage by insects. For borates to be effective against insects, they must be eaten by an organism. 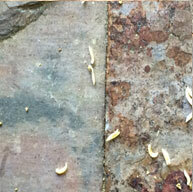 Interestingly enough, consuming borates does not instantly kill termites or other wood destroying insects. It kills the bacteria in their digestive system. The bacteria help insects digest the cellulose fibers that make up wood. Insects die of starvation without these bacteria. Funny how nature works. Perma-Chink Systems markets four different forms of borates for the purpose of preserving wood. I have used borate treatments over the years in many other special and unusual applications that I will list below. For antique log homes – Owners of antique log homes have spent a lot of money purchasing old logs, timbers, and siding because of their unique appearance. They love that silvery-gray rough texture inherent to old timbers. They are very reluctant to remove this look in order to properly apply a protective waterproof coating that would protect these logs from rot. An alternative for this unique and growing segment of the market is to simply treat the exposed logs every year with borates. The treatment must be done every year because borates are water-soluable and rain will eventually leach the product out of the wood. The borates will not change the color of the wood and it is almost impossible to over-apply. For log replacement projects – I highly recommend a thorough treatment of all replacement logs and log siding with liquid borates and Cobra Rods. The chances are that homeowners who have not maintained their homes in the past will probably neglect them in the future. A more permanent treatment today will lower your liability in the future as a contractor. An even better plan would be to have replacement logs pressure-treated with borates. I do know that Appalachian Log Structures will pressure-treat logs for use in log replacement. They also produce many different log profiles. If I were to replace a log on a customer’s home that was pressure-treated, I would have no problem extending a lifetime warranty on that log – a good selling point for log home contractors. (Note: Appalachian Log Structures not only pressure treates logs for use in log replacement, but on their new log home products as well. They've been providing this valuable service for their customers since 1980 and offer a 25-year warranty against rot, decay and wood digesting insects. They've never had a warranty claim in their 37-year history of operation). If you are at a new home site, you can treat new hand rails as they are assembled by drilling a hole into the end of each spindle and inserting a Cobra Rod. The borates and copper will dissolve into the surrounding wood and protect against rot. I would also soak all the components in one of our other liquid borate products. 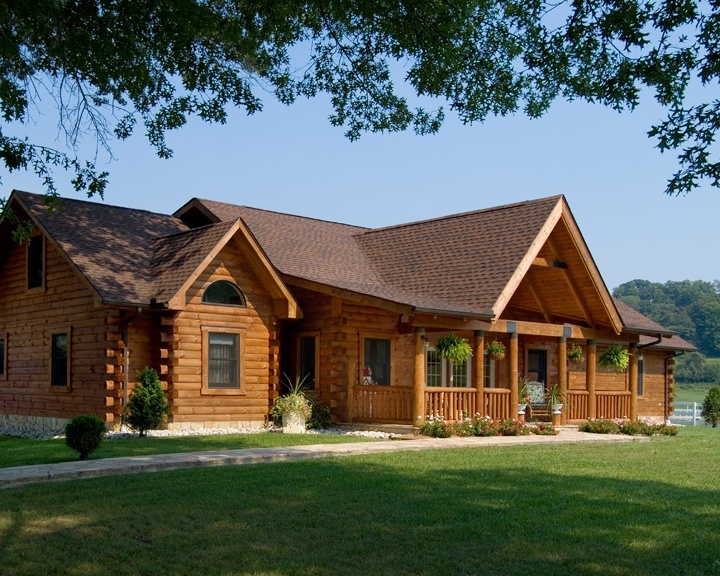 If you would like to learn more about borate pressure treated log homes and log home building products call Appalachian Log Structures at 800-280-2574 or one of our Independent Log Homes Consultants. You may want to also consider visiting our mill during one of the Plant Tour/Seminar events held in Princeton, WV to see for yourself the advantages of pressure treating with borates and how it saves new log homes from expensive re-treatments or restoration/repair of logs infested with rot, decay or wood digesting insects. Now you may understand why our by-line is "PRESERVING America's Log Home Heritage".